This is the 4th addition to my “Basquiat Pop” Series. 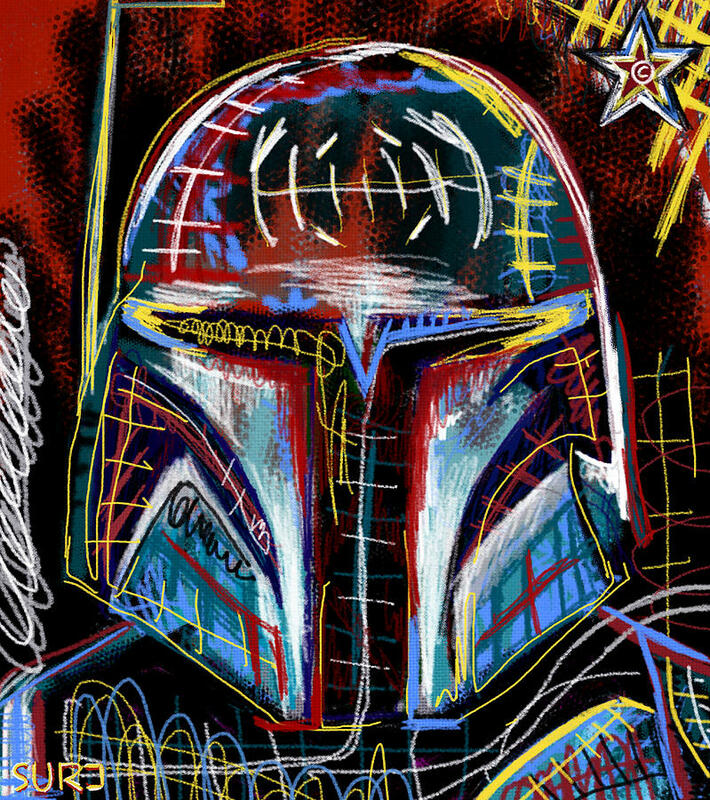 This is the strictly the an ECU of Boba Fett’s Iconic Helmet. Inspired by ALL Things Basquiat, the colors and overall tone, feel and look is intentionally meant to resemble the work of the late, great Basquiat.